2. 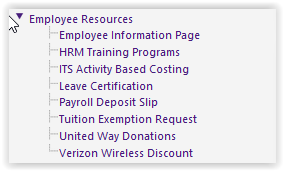 On the left hand side panel, expand Employee Resources, and click on HRM Training Programs. 3. Validate your personal information in order to proceed by clicking on Continue.